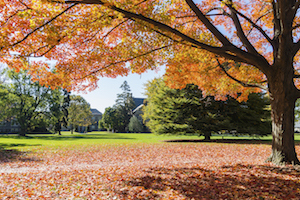 The mission of the Haverford College Arboretum is to steward the College's historic tree collection while fostering a connection between our 216-acre campus and those who work, visit, study, and reside here. 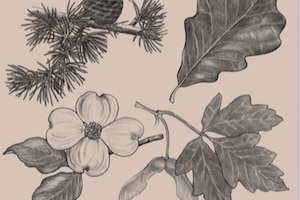 Maintaining the health, diversity, and history of the tree collection honors William Carvill's original 1834 landscape design, while our educational programming ensures continued engagement with this unique and treasured asset. Our trees are feeling the effects of climate change and disease, and—like all of us—have a natural life span. Sadly, hundreds of our trees will need to be removed over the next several years. Your gift will help plant two trees for every one lost. Plant Curator Martha J. Van Artsdalen wrote the latest tome in Arcadia Publishing's Images of America series, which includes 200 vintage images (some of which have never been published before) of the College's Arboretum. A massive renewal project aimed at keeping the campus community safe and preserving Haverford's beloved natural resources for generations to come is taking shape. 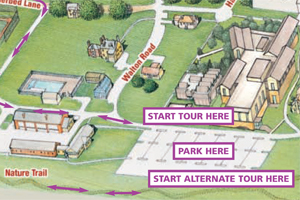 Grounds and Arboretum preserves, protects, and beautifies the College natural environment in balance with the health and well-being of residents and visitors to campus. 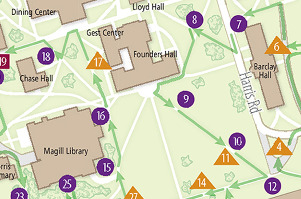 Information, events, and activities from the College Arboretum, sent occasionally.